Sixteen-year-old Mia Winterborne is destined to be special. Details are sketchy, though, as her dad disappeared with all the answers when she was five. Mia only knows that she’ll inherit her kickass superpowers on her seventeenth birthday. Helping Mia prepare for her anticipated ascendancy is Loie Bryce, her best friend and eternal sidekick extraordinaire. The girls’ intense friendship has never wavered until now, when Andreas arrives in Salcey Ridge. They both fall hard for the British hottie, who quickly becomes a fixture in their lives. When they discover that Andreas is not who he appears to be, the frightening reality of Mia’s powers finally hits home. The nearer Mia’s birthday draws, the more the danger escalates and long-buried lies are exposed, putting the girls on a path that they never expected. . I loved the way the story is told from Loie’s point of view instead of Mia. They were born on the same day at the same time and grew up best friends. When they were five both of their lives changed. Loie lost both of her parents in an accident and Mia’s father disappeared. Since that time Loie has pretty much grown up in the Winterborne house. Her grandmother believes Mia’s father had something to do with the death of Loie’s parents. She has become very bitter and appears to not really love Loie. A few months before their seventeenth birthday, a gorgeous guy shows up. Both girls fin themselves in love with him. It is Mia he has eyes for. Loie believes it should be this way because Mia is going to inherit her special powers when she turns 17 and she will be just plain old Loie. But there are many secrets, mythical creatures and a battle that neither girl could see coming their way. I read this book straight through. I am sorry it took so long to get to it. A backlog of reviews was the reason. I can guarantee you that I won’t wait that long for the sequel and I hope that isn’t long at all. This was a very clean cut young adult novel and one I will put on my shelves when it becomes available in print. I highly recommend this book to everyone who loves fantasy. 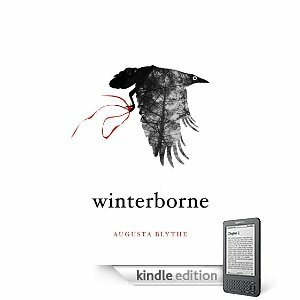 Winterborne is available for $2.99 on Kindle, Nook, and iBookstore.